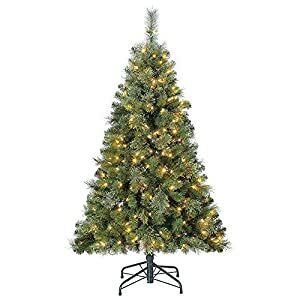 ★Standing at 5-feet high, this Christmas tree is an eye-catching addition to any room during the holidays. 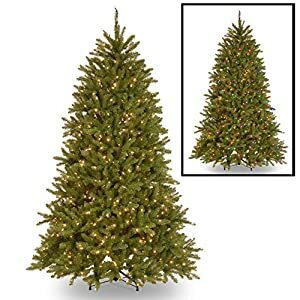 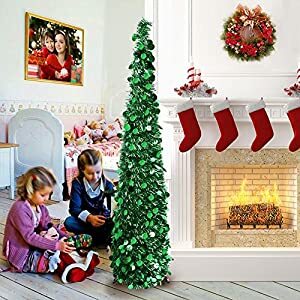 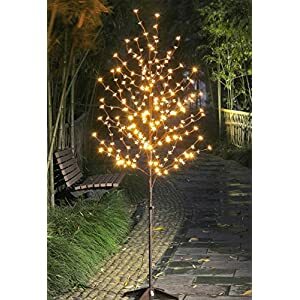 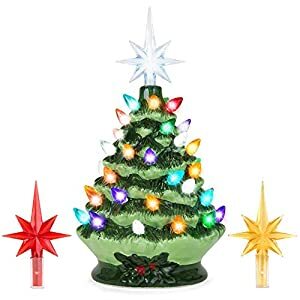 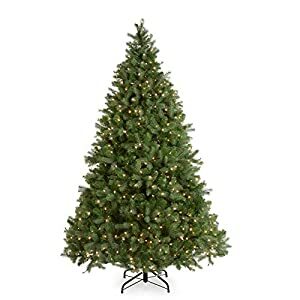 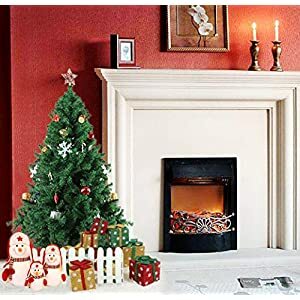 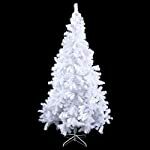 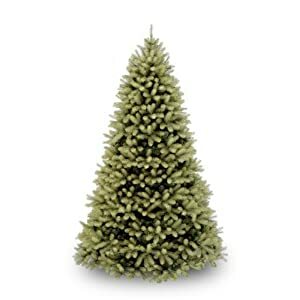 ★Made from high quality PVC material, its lush branches with 2.4″ width and 350 branch tips create the illusion of a full-bodied genuine spruce tree, providing ample room for decorative ornaments. 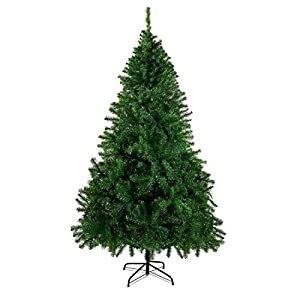 ★Designed with sturdy metal legs and plastic pads which provides stability and durability to keep your tree standing tall and prevent your floor from breaking. 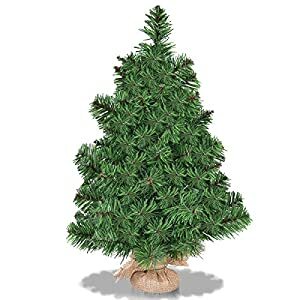 ★Reusable tree is divided into 2 hinged sections for easy assembly, disassembly and storage to use season after season. 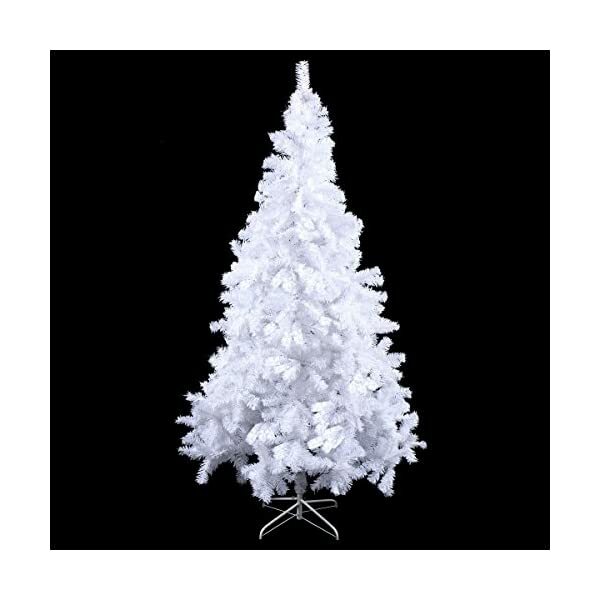 ★Ideal for decorating homes, offices, or even classrooms with a happy and prosperous festive atmosphere.